Africa as a continent with her huge potentials in various economic sectors has embraced the digital age with an open arm. The continent today boasts of vibrant young people who are taking advantage of modern technology to rebuild Africa and also change the way Africa is perceived globally. Mahlet Yohannes from Ethiopia is one of this new generation Africans who is making Africa proud globally. The beautiful Ethiopian who has experience in Clinical Nursing, Airline customer service, Advance service & culinary Arts (from the corporate school of Etiquette) Travel and Tourism, Hotel Managment, public relation and events management, started her career flying Etihad Airways and moved to corporate Aviation. She has been involved in Business Aviation for the last 5 years flying both as a contract flight attendant with a coast to coast clientele list. She is an Aviation and Hospitality industry professional with superb work ethic and Customer driven with dynamic safety skills with over 10 years of experience. Highly efficient in communicating with people from all backgrounds while providing excep-tional customer service. Natural leader with a passion for team building and promoting positive company morale. Extensive network of vendors to offer VIP service worldwide. Immense exposure to the fast paced and high profile work environment through past work experiences. 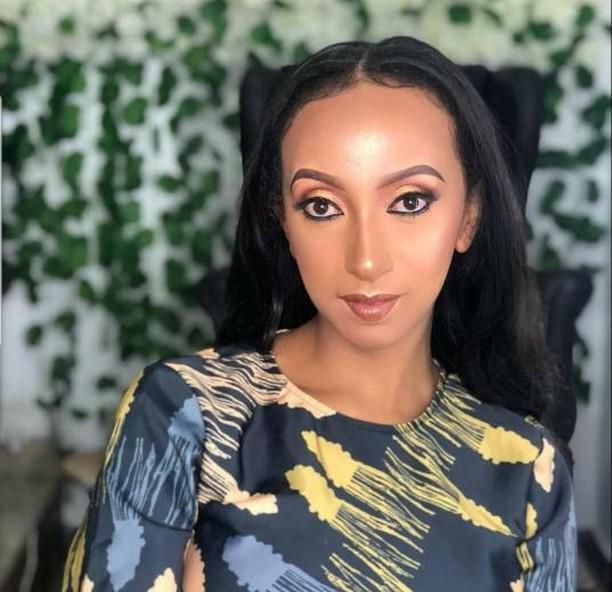 Mahlet who is also a fitness and skin care guru, has been a proactive advocate for Corporate Aviation Flight Attendants and committed to raising the standards within business aviation and has recently been appointed as a Digital Ambassador for Ethiopian airlines. Currently working, Inflight Service Consultant Worldwide in customer service operation and quality requirement, Providing efficient way of handling customer compliments, complaints and claims, designing and proposing cabin activities improvement and Aircraft cabin configuration, Ensures In-Flight meal services changes are reviewed and recommendations are implemented. Mahlet could be termed a super woman due to the immense responsibilities she handles and her rigorous daily routine. Still, she finds a way to strike a balance and also find time to travel, a hobby she loves with passion. Mahlet, who is passionate about African development and inclusion of woman in governance has this to say about African political and economic development. Women are poorly represented in many african countries. Recently Ethiopia and Rwanda made the headlines by appointing woman in 50% of the leadership cab-inet. I hope the rest of Africa follows. Three hundred million people in sub-Saharan Africa currently do not have access to clean water. Africa will not meet the UN millennium development goal of reduc-ing by half the number of people without access to clean water until 2050. Their is direct link between access to clean water and poverty in Africa. Reliable access to clean water was crucial in reducing poverty in Africa, as it would contribute significantly to all of the development goals. Access to clean water contributes directly to goals concerning health—such as reducing child mortality, maternal health, and deaths from AIDS—by reducing the spread of water related illnesses. Access to clean water also helps to promote equality of the sexes because collecting surface water is perceived as women’s work and can take up to six hours a day. Experts emphasized that ground water, found in rock cavities beneath the earth’s surface, is the only realistic option for increasing the supply of water in rural ar-eas in many African countries. It is naturally protected from bacterial contamina-tion and is often a reliable source during drought. I plan to launch a foundation next year that will support in increasing the supply of water in rural Ethiopia, so children will not miss school to collect water. There are many technical and financial challenges to finding and providing ground water. “Blind” drilling (whereby water engineers drill anywhere they think best without investigating first) is responsible for some of the high cost associated with supplying ground water. It also means that rural ground water supplies sometimes dry up after a few years, as the size of the source has not been properly researched. In addition, natural contamination with fluoride and arsenic means that all ground water sources should be adequately tested, which often involves complex laboratory or field tests. Rural Africa’s Education Crisis, poverty and inequality. Considering the significance of rural poverty across the continent, it should come as no surprise that rural school children are the most disadvantaged from a socio economic perspective when it comes to access to quality education. Rural schools generally have less qualified teachers and not enough teachers for the number of children enrolled in school. This is clearly evident in the low teachers-per-school ratios and teacher-to-pupil ratios in most rural African regions. The reasons for these low numbers in rural Africa are many and very much linked to poverty and other inequalities and socio economic conditions. For example, teachers generally prefer urban to rural schools because urban areas offer greater opportunities and higher incomes. There is also a better quality of life in urban areas, with better access to good infrastructure, other services (such as healthcare) and general public goods. There is still plenty of untapped economic potential in Africa, which presents great opportunities for the travel and tourism industry. From a business perspective, the untapped potential of Sub-Saharan Africa could be an opportunity within the travel and tourism industry that can bring about potentially higher returns than other already mature destinations. And yet tourism remains a strong contributor, offering a window of recovery during tough economic times. It remains an imperative that the tourism industry constantly comes up with innovative ways to keep the sector thriving. The United Nations World Tourism Organization (UNWTO) on inbound tourism in Africa prove that Sub-Saharan Africa is leading the charge in respect of overall growth in tourist arrivals. The continent as a whole reported an 8% surge in international arrivals in 2016. Experts indicate that these figures far exceed the global increase in international arrivals of 3.9% overall with a vast untapped tourism potential that could buoy the greater African economy and contribute its prosperity. Another opportunity to boost tourism is through cultural and cuisine tourism. This is a hugely missed opportunity at the moment especially when it comes to sharing our cuisine with the world coupled with our extensive wine collection and local drinks. Within this, there is also the opportunity around township tourism which enables us to include entrepreneurs and tourism offerings from the previously disadvan-taged members of our society, thus contributing towards the agenda of inclusive economic growth and transformation. Governments need to heavily invest in security, infrastructure, transport, policies that will support and build a strong tourism sector.